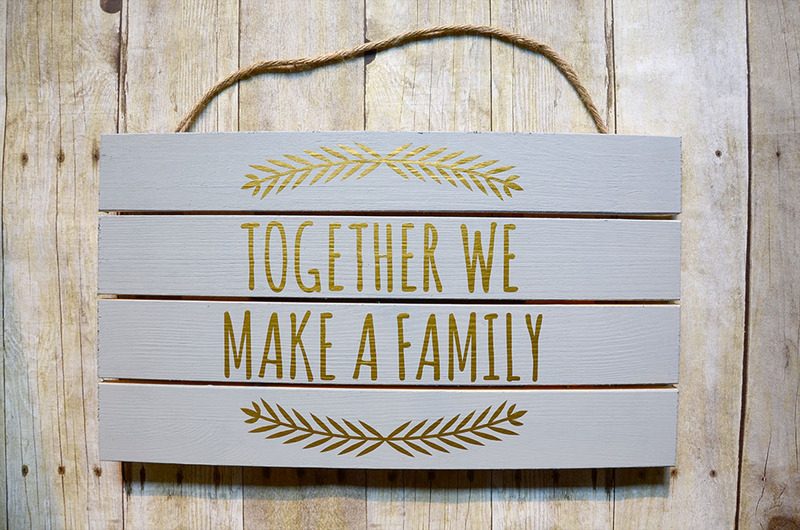 All you need is a wood pallet and a vinyl sticker. 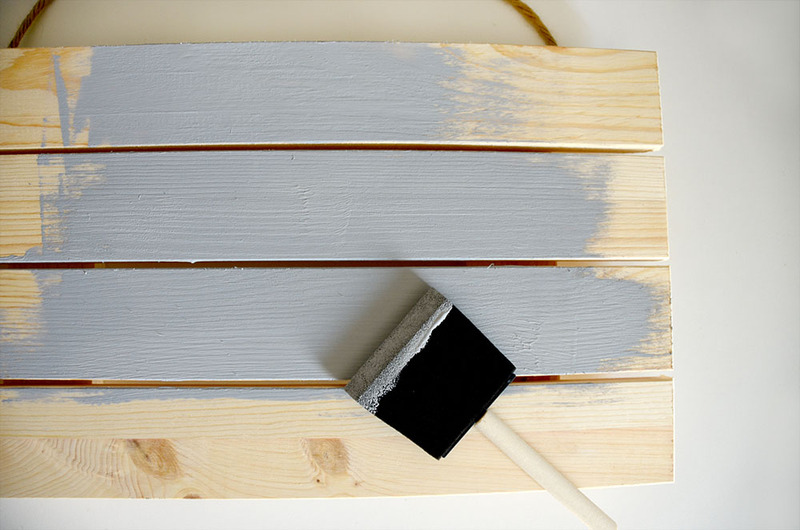 You can also get creative with painting your pallet first! 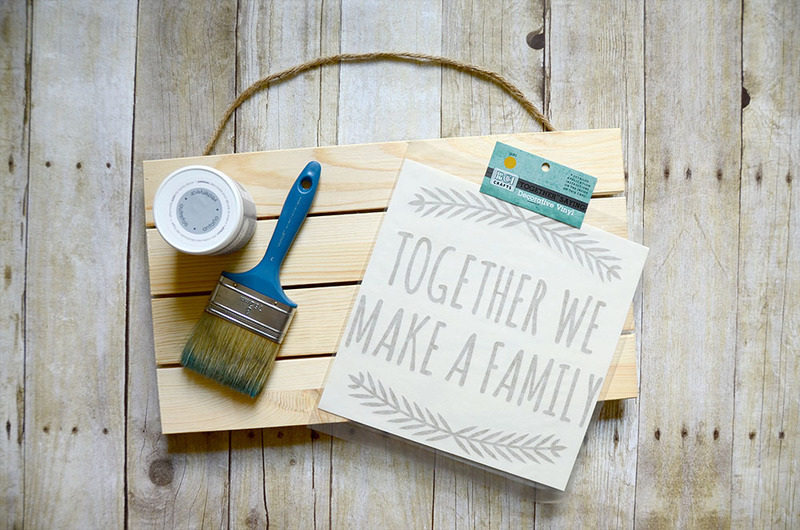 I chose a natural colored pallet and painted it with a chalk paint. It had a nice matte finish which looks really cool with the shiny gold vinyl sticker. It is important that you wait an hour or even overnight for your paint to dry. My paint felt dry within 10-15 minutes but paint feels dry to the touch before it is truly all the way dry. Check the label of the paint you use for more information on drying times. Once your paint is dry you can apply your vinyl sticker. The BCI Crafts vinyls come with directions on the inside of the label. First, rub over the entire image (face up) using a burnishing tool or credit card to ensure that it is attached to the top protective sheet. Then carefully remove the back protective sheet, ensure the image is placed exactly where you want it on the pallet and run over the entire vinyl image again. 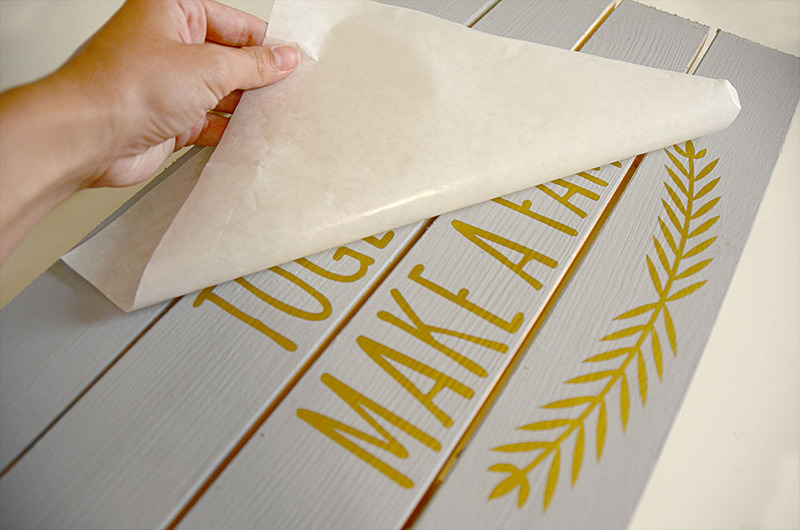 Finally, slowly peel back the top sheet at a sharp angle, ensuring that your image has stuck to the pallet as you go.